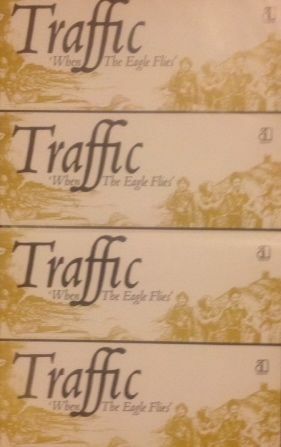 Traffic setlist from London Rainbow May 1974: Heaven Is in Your Mind; John Barleycorn; Forty Thousand Headmen; Graveyard People; Empty Pages; Pearly Queen; Vulcan ? ; Dear Mr. Fantasy; When the Eagle Flies; Walking in the Wind; Dream Gerrard; Memories of a Rock ‘n’ Rolla. 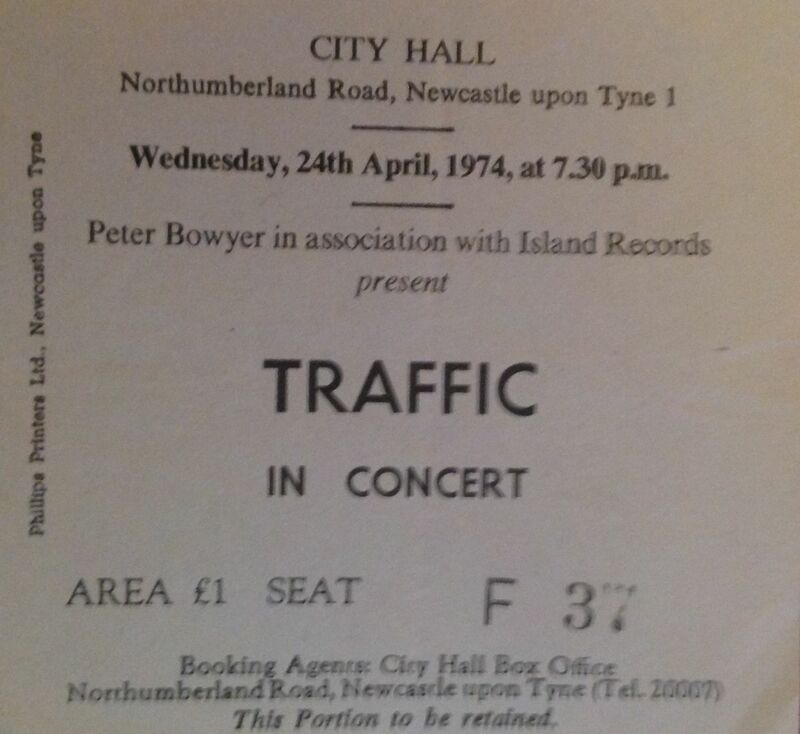 I saw Traffic once more, when they headlined the Reading festival a few months later in August 1974. It was another great set with some lengthy but nver boring jams (thanks in great part to Rebop’s antics), and exactly the right sort of music for a dark summer evening at a rock festival, the music drifting across the riverside fields, as the cool breeze made us all shiver a little. Thanks to John for the image of his poster. I realised that working alphabetically through my ticket and programme collection won’t cover the festivals that I’ve been to over the years, so I have decided to skip out of the alphabet now and then to cover a festival or two. Hence I’m having a rest from covering artists starting with the letter D and will write something today on the Cambridge Folk Festival. I’ve only been to Cambridge once, and greatly enjoyed it and have often fancied returning, but have never done so. I drove down in 1975 with my mate Norm to the event at Cherry Hinton Hall. We drove down on the Saturday, which was the second day of the festival and paid at the door, driving back on Sunday night, and arriving home early Monday morning. I think the attendace was around 15,000 and over-crowding was becoming a problem for the organisers. It was one of the friendliest festivals that I’ve ever been to; with music all around. Everywhere you turned someone was playing a guitar and singing, from local artists, through to impromptu sets by some of the headliners. We ran into some friends from the North East and had a great time taking in different sorts of music. We were both much more used to rock festivals, and found this laid back folk event a very refreshing change. Great atmosphere, and great music. Highlights for me were Leo Kottke and his incredible impressive slide guitar on Vaseline Machine Gun, Stefan Grossman, seeing Bert Jansch sing to a small crowd outside one of the tents, Richard and Linda Thompson playing a superb set drawn from their albums I Want to See the Bright Lights Tonight and Hokey Pokey, and headliner Dave Bromberg. The line-up was quite strong and included: Tom Rush, Vin Garbutt, Richard and Linda Thompson, Brillo, Robin and Barrie Dransfield, Harvey Andrews and Graham Cooper, Stefan Grossman, Bert Jansch, Tony Rose, Nic Jones, Stefan Grossman, Dave Bromberg Band, Leo Kottke, Jack The Lad, Five Hand Reel, Country Gazzette, Spud.